Commercial Auto Insurance | Insurance Concepts & Risk Mgmt. One thing people who commute a lot or who simply use their vehicle for work purposes may or may not know is that your personal car insurance does not cover vehicles used by their business. That is one of the reason commercial auto insurance is so important. If your employees use a vehicle to commute or transfer products, you need commercial auto insurance. It can protect you, your employees, and your business in the case they are involved in an accident while using a vehicle while at work. No matter how big or small your business, if your employees use them for any purpose, we can tailor a plan that protects you and takes the stress way from any potential damage that could be caused in a car accident while a vehicle is used on the job. Not only does commercial auto insurance protect your employee and your business, it covers damages that are caused to other people or property. It can cover medical bills if a bystander is involved but can also cover cost from vehicles that you rent or borrow for business purposes. -Property damage: This type of insurance covers damages to property that is involved in an accident. -Comprehensive: This type of insurance covers damages that can be caused by other factors like a natural disaster or theft. -Collision: If your employee collides with a vehicle or other object, this allows those damages to be covered. -Uninsured/underinsured motorist: This type of insurance protects your business in the case they are in an accident with a motorist who does not have insurance to cover the damages sustained in an accident. This is just a short list of specifics forms of coverage we can provide to your business to help you focus on your employee and clients. There are many other ways in which we can help to keep you protected and your employees safe and assured while on the job. If your business is reliant on large commercial trucks to deliver goods, you will need a specific policy that is not only suggested, but mandatory. The cost of auto insurance can be cause for concern for some businesses but it can be way more costly if your employee is caught without it and ends up in an unlikely accident while on the job. The cost of auto insurance is determined by a few things and we can help you determine the right plan for you specific type of business. It is important to consider how often your employees will use your vehicles and the type of vehicles they will be using. The driving record is also important when it comes to determining your policy, which it is in all cases of auto insurance. Commercial auto insurance is something any business owner should consider if their employees will be using vehicles to deliver things as small as pizza or as large as a tractor. 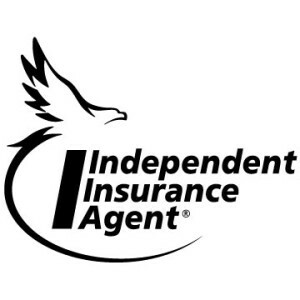 Insurance Concepts & Risk Management, based out of Scottsdale, AZ, is here to keep your business growing and moving forward, please contact us today to find out what we can do for you.